Whenever there is a function which includes food (wait, that would be ALL functions). Whenever there is a function I take a dessert. Rarely will you spy me toting in a salad or rolls. Nope, I’m a dessert toting kinda gal. Although I did make a corn casserole for an Easter dinner this year but that was special. Anyways, me and three of my good friends recently found ourselves with NO CHILDREN! It was awesome. Not that we don’t love the little people, no, they are loved VERY much. But we homeschool. We have houses that offer little privacy from little ears. We needed a break. So we got together and cooked an awesome meal, my friend Ruthy made homemade noodles. It was life changing. I ate them out of the bowl. Like the main bowl, not my bowl. I’ll never look at pasta the same way again. I, of course, brought dessert. I was really craving a French Silk pie but feeling lazy and pressed for time I decided to forgo the crust and turn the whole thing into a trifle instead. 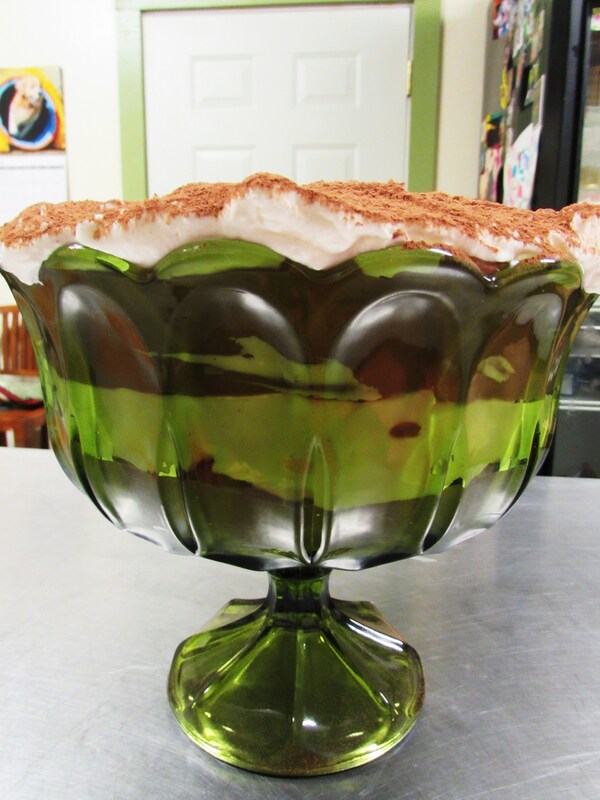 Also because I just got this great, new, green glass compote dish at an estate sale and I was dying to use it. So I didn’t make a crust and I did use the green dish and here is how it turned out. 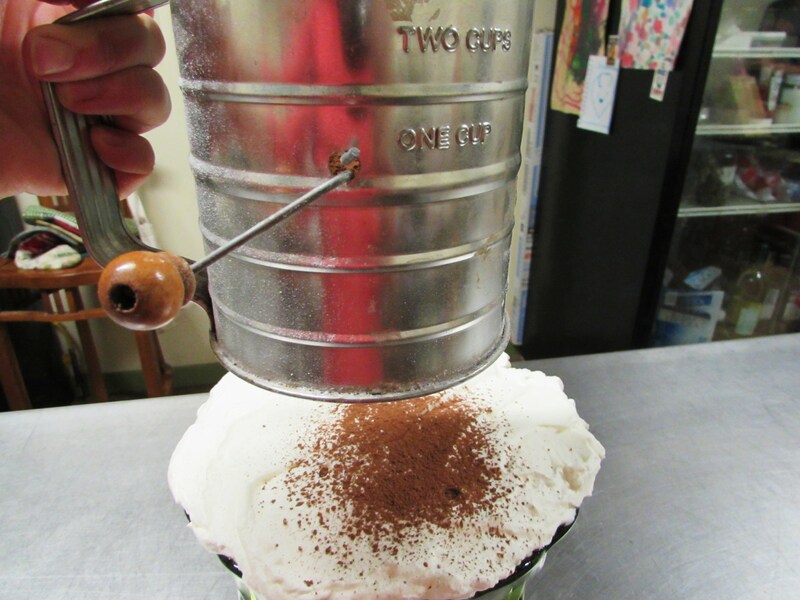 It was a big hit and so rich! And here is how I made it…. 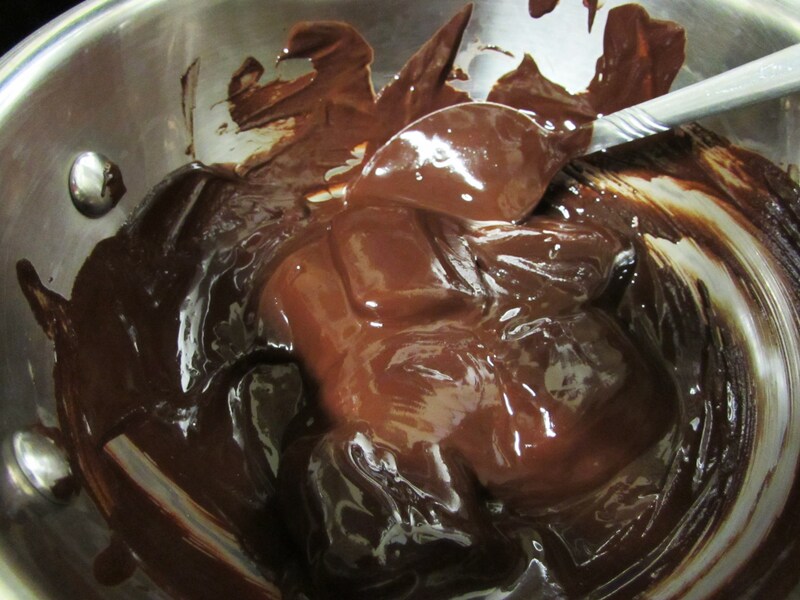 Start by melting the chocolate squares in a little saucepan, stirring often. Nothing is worse than burned chocolate. Burned chocolate is a sin. 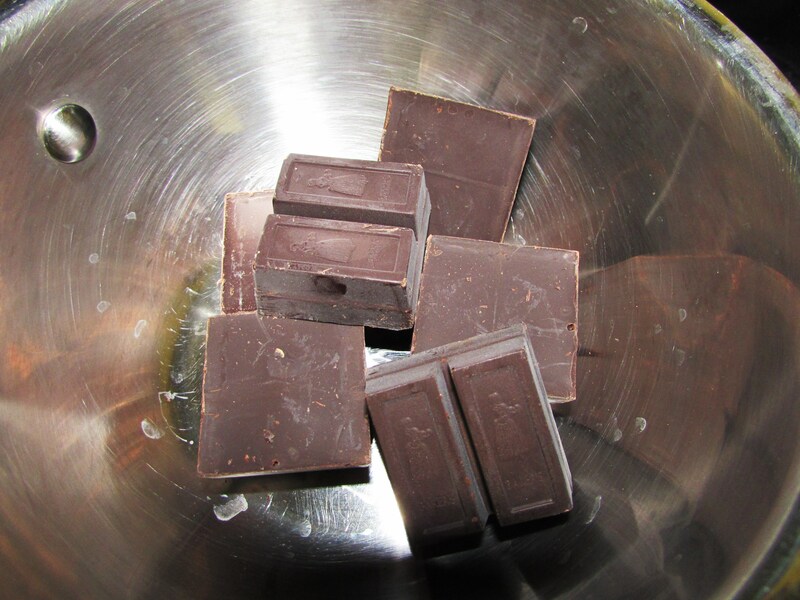 Once the chocolate is smooth, set it aside to cool a bit. Meanwhile, whip some butter. Add that chocolate just like you should! The little humans aren’t gone very often. Forgive me. 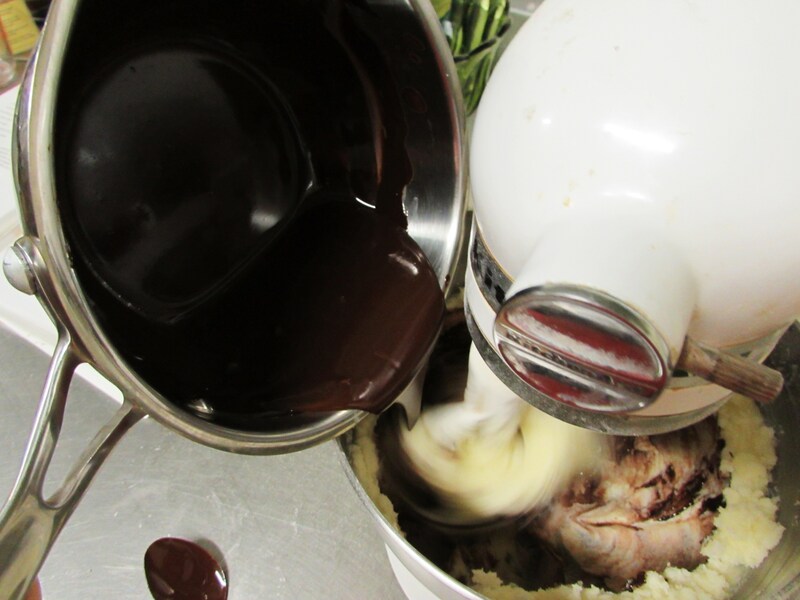 Once the chocolate is all blended in start adding the eggs. 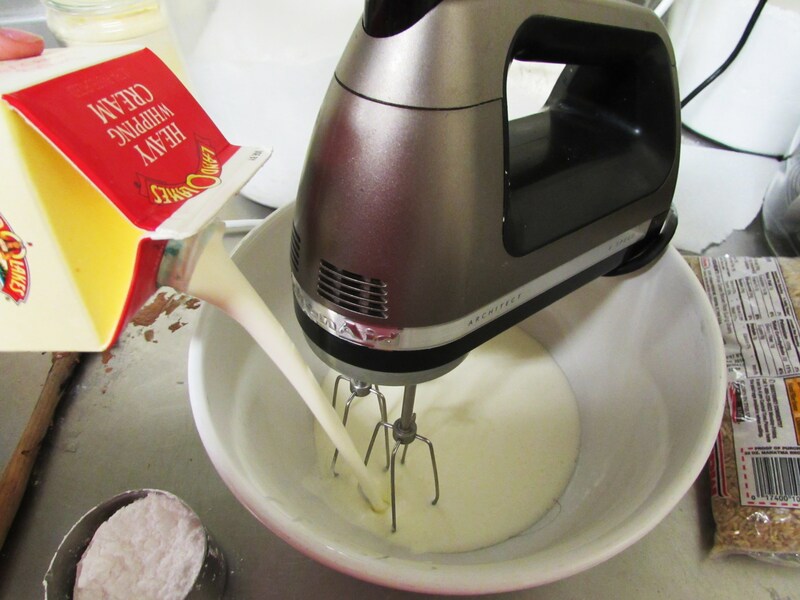 After each addition whip the mixture 5 minutes. 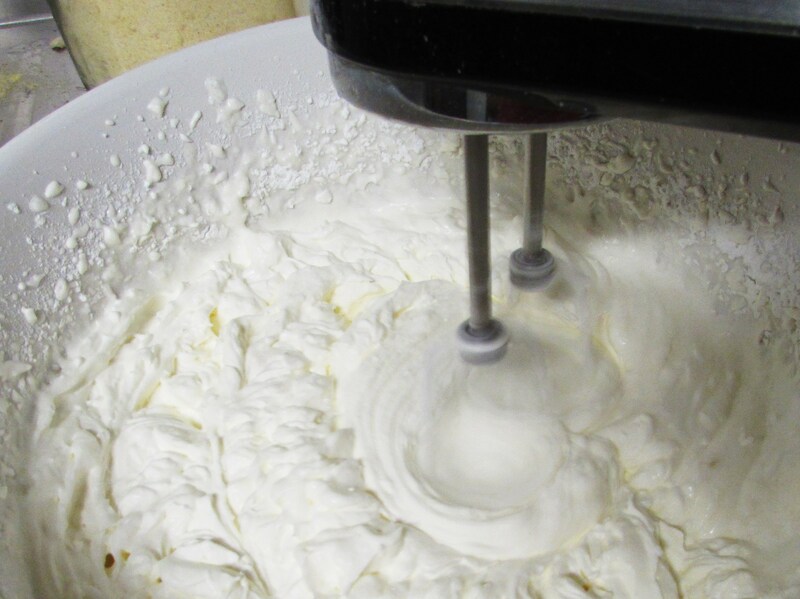 Having a stand mixer is a must for French Silk. Some people freak out about French Silk because it contains raw eggs, which, when you say it like that it does sound kinda gross. But it is really one of the best things under the sun. 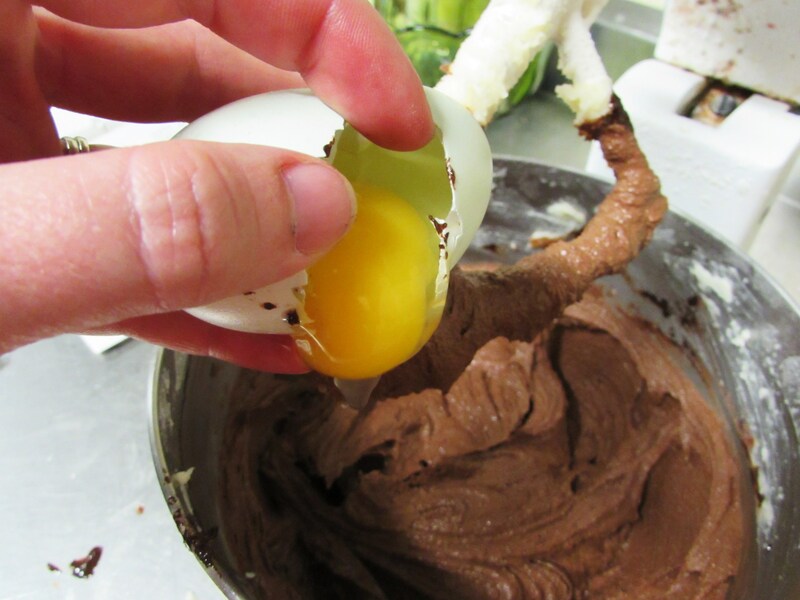 God gave us chocolate and butter so we could mix it with raw eggs. All my eggs come from my flock which is the way God intended it to be. 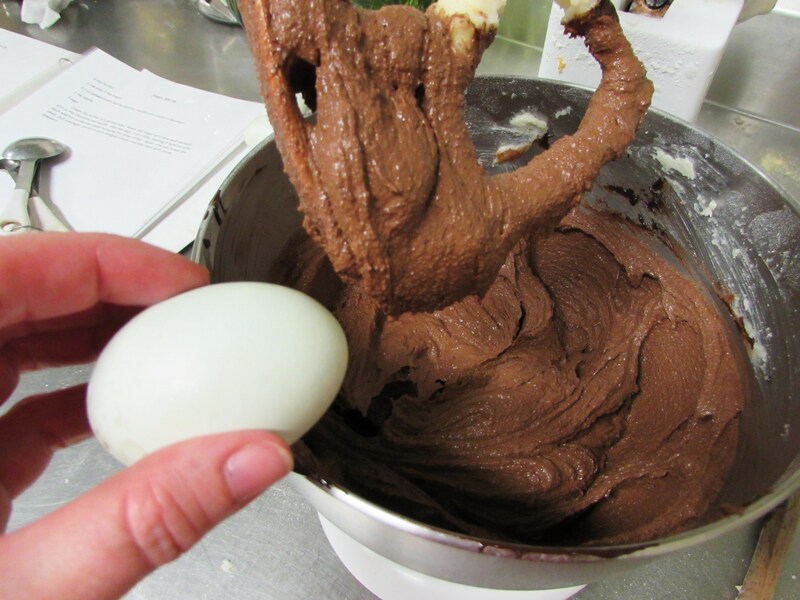 I probably wouldn’t make French Silk with ‘store eggs’. 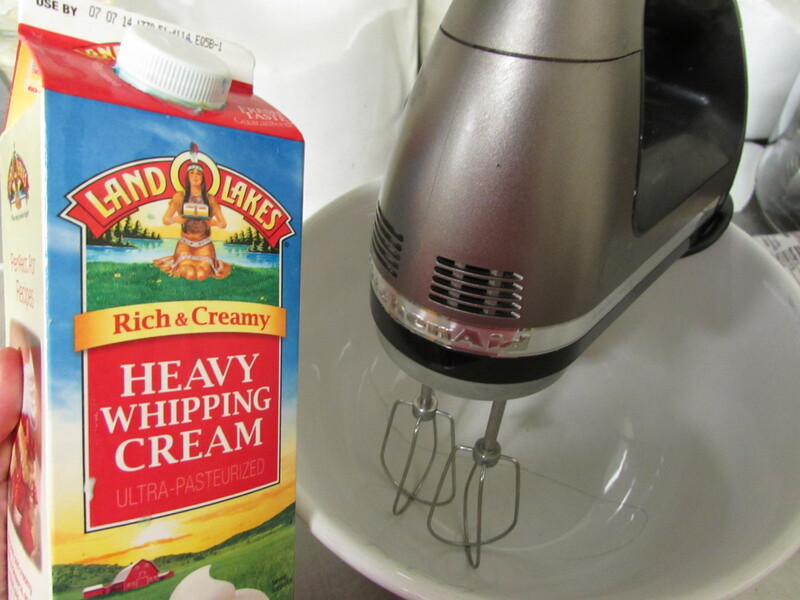 God also intended for us to use lots of heavy whipping cream. 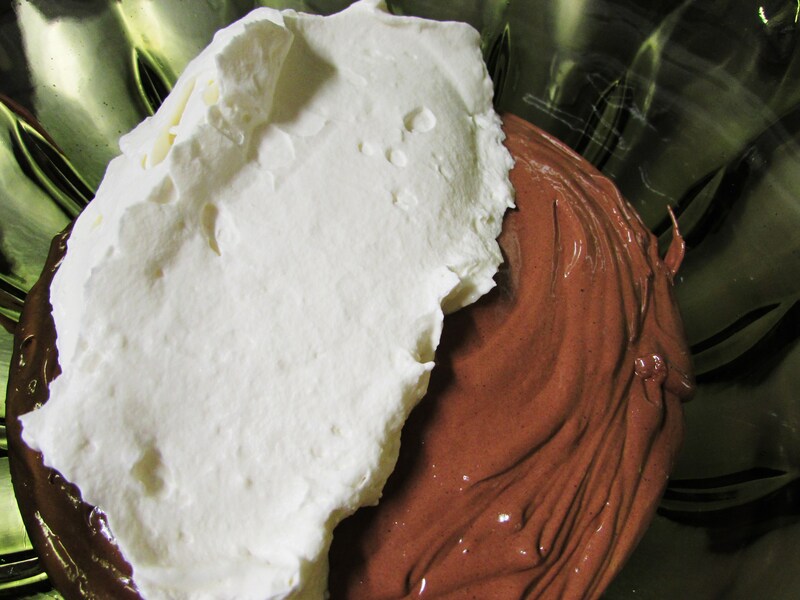 Pour about half the chocolate mixture into a pretty bowl…..
…then add about half the whipping cream and smooth it evenly over the chocolate. Try and not stick your fingers in it. Please use a spoon. Your friends will thank you. 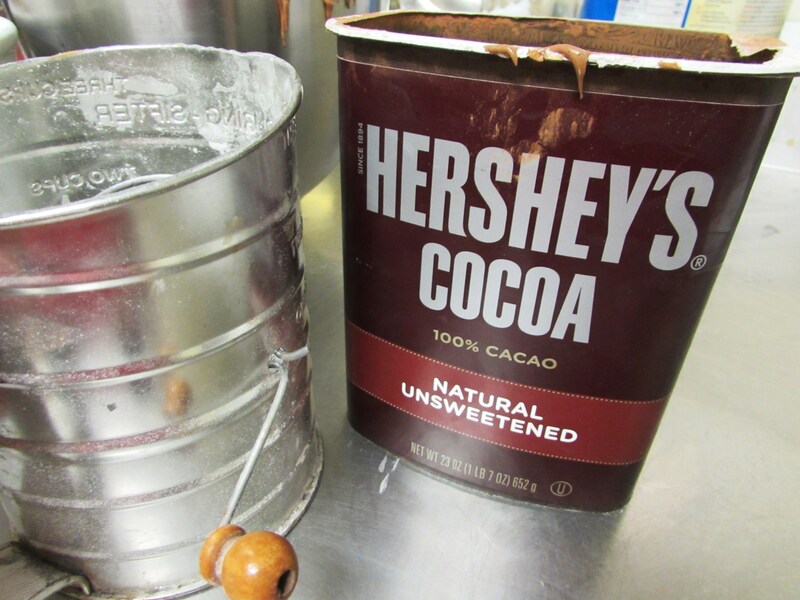 Dust the top with cocoa powder and store in the fridge until ready to serve. 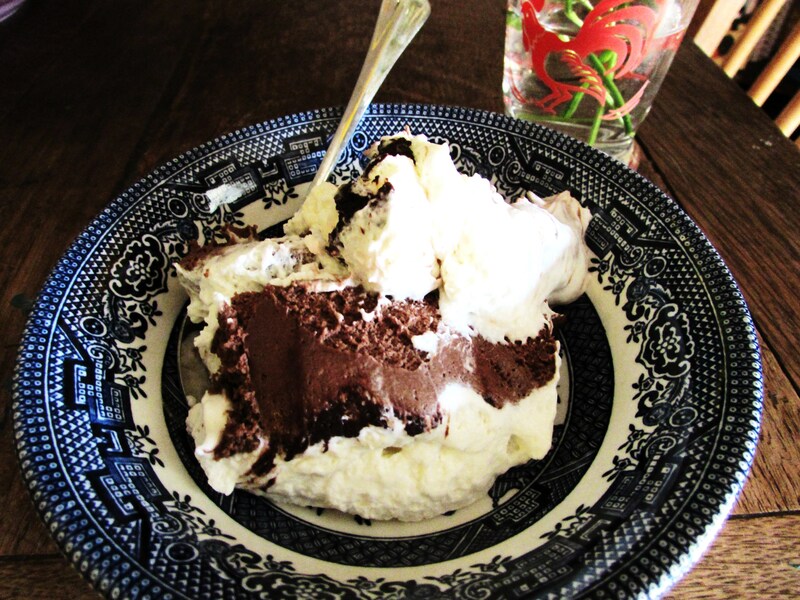 Serve in a pretty bowl and invite some people over, this is a seriously large dessert. And God told us to share. So, you’re gonna call and invite me over, right? 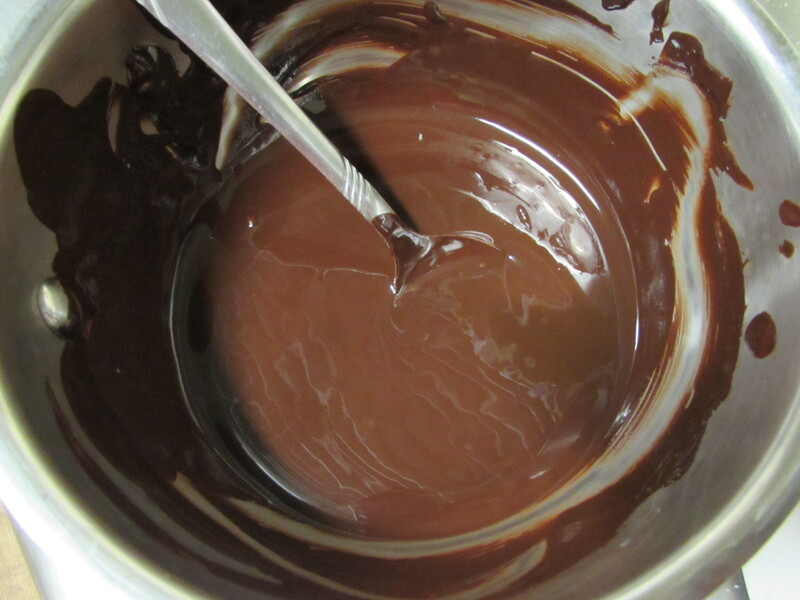 In a small saucepan melt the chocolate over low heat, stirring often. Set aside to cool. 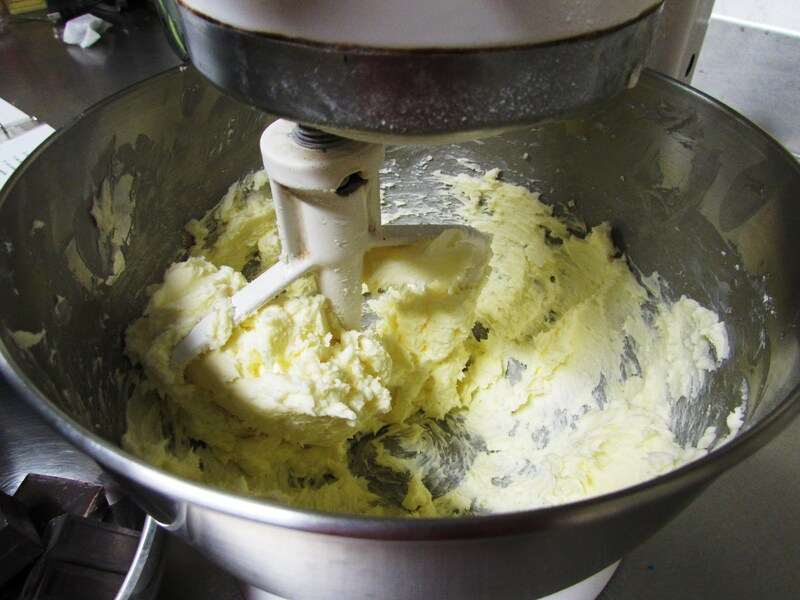 Meanwhile beat the butter until creamy, slowly add the sugar and blend well. 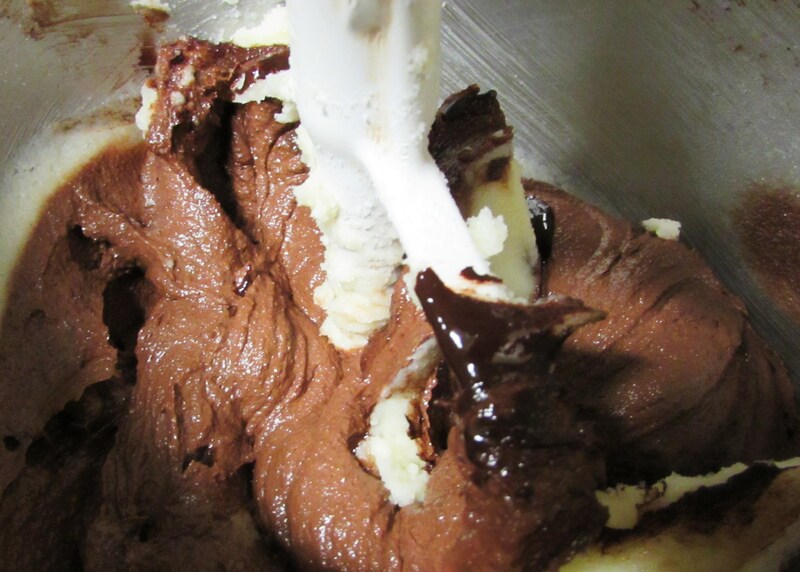 Add the chocolate and vanilla with mixer on low speed. Scrap the sides of the bowl and blend again. Add the eggs, one at a time, beating 5 minutes on medium speed after each addition scraping the sides often. Set aside when done. 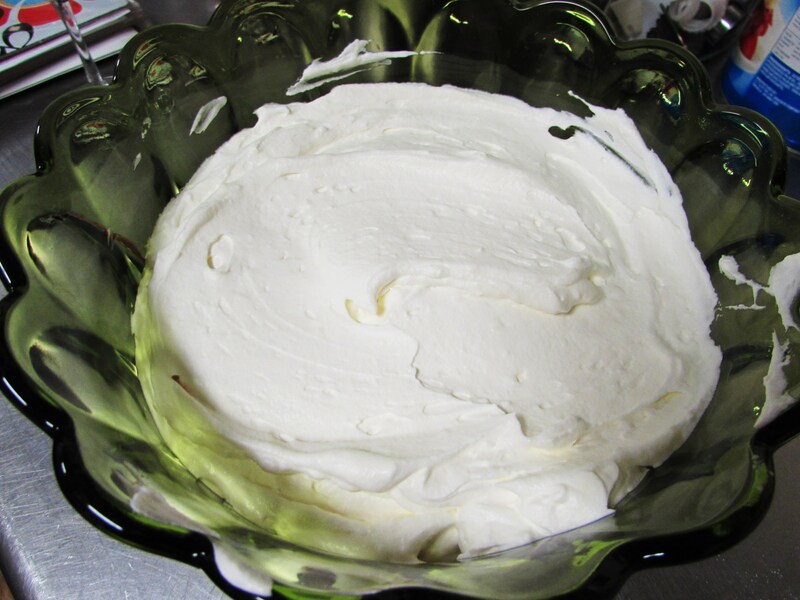 In a chilled bowl with chilled beaters whip the cream until thickened and starting to stiffen. Slowly add 1 cup powdered sugar (more or less to taste). Beat until stiff. Assemble. 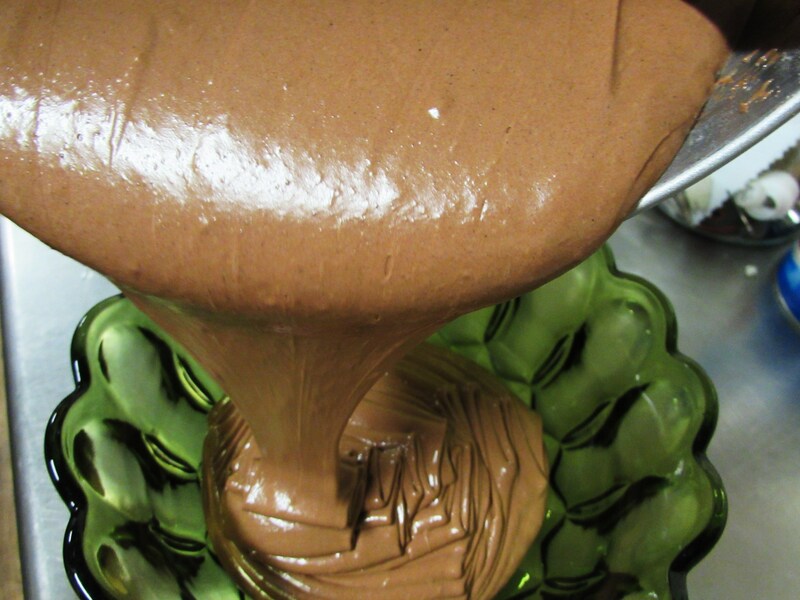 Pour half the chocolate mixture into a trifle dish or pretty bowl. Add half the cream and spread evenly. 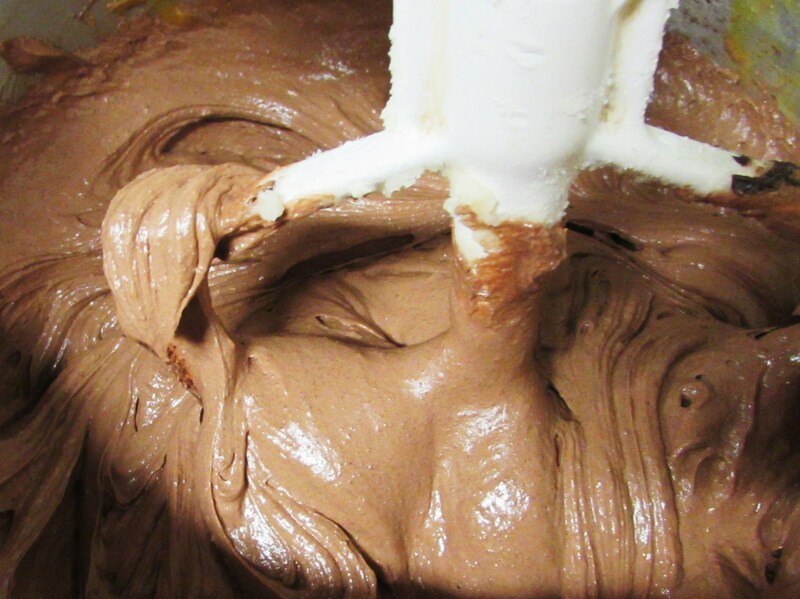 Repeat and end with remaining cream. 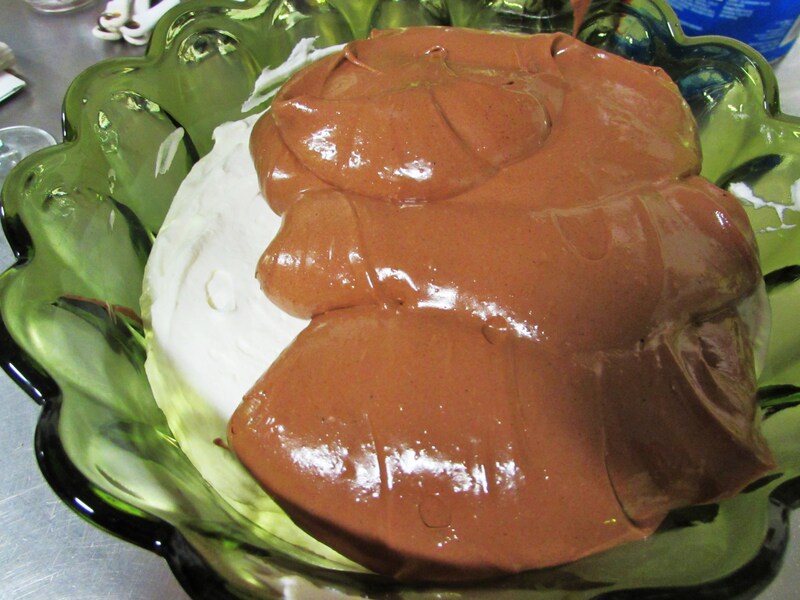 Dust the top with cocoa powder and let sit in the fridge overnight. I ADORE French Silk. I have to try this recipe. Pining it!